Tingly, numbing, nuanced, complex, and of course spicy! This oil is infused with 11 spices and herbs before being poured hot over two types of ground chilis and ground Szechuan peppercorns. This is an unbelievable condiment to drizzle on food or to use in a stir-fry or marinade. 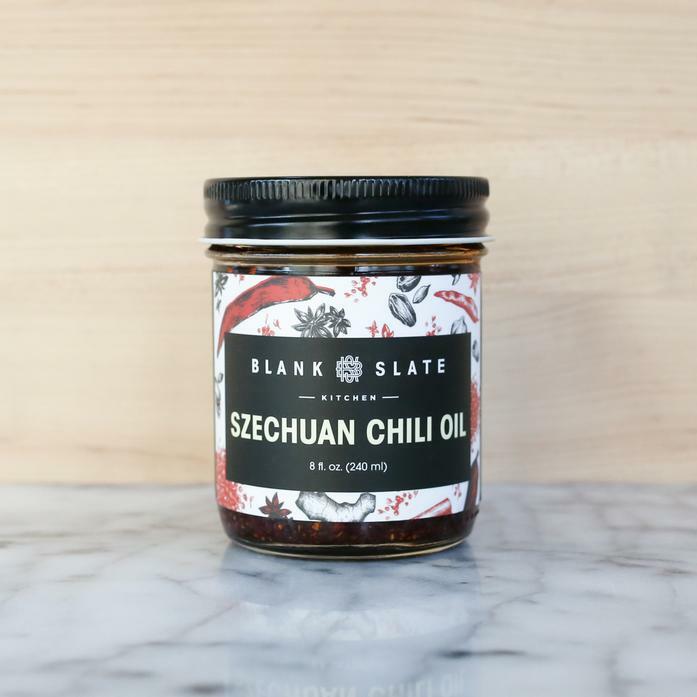 Blank Slate Kitchen produces small batch products in New York with the aim of helping home cooks explore, develop and realize their own kitchen creativity.